International Syalons (Newcastle) Ltd., have been exploring the mechanical properties of silicon nitride-based sialon advanced ceramics at great length since the material’s inception in the early-1980s. Sialon (Si-Al-O-N) is an advanced engineering ceramic that offers outstanding fracture toughness, high strength, and excellent resistance to multiple wearing phenomena, in addition to high temperature and corrosion resistance. This enables silicon nitride-based ceramics to withstand severe operating conditions that may cause alternative ceramics to propagate flaws, deform, or fail. Hardness and the resulting wear resistance are therefore vital properties which are generally offered by advanced ceramics. The hardness of a material is a measure of how well its crystalline structure holds together in response to friction or impact forces. Hardness usually exhibits a linear relationship to the strength of the atomic structure of the material. However, it is a complex property that is dependent on numerous factors including strength, toughness, and ductility. Extreme hardness values enable ceramics to withstand significant wearing phenomena from mechanical agitation to small-particle abrasion. This enables sialon ceramics to be engineered into complex shapes for applications in some of the most demanding industrial sectors. 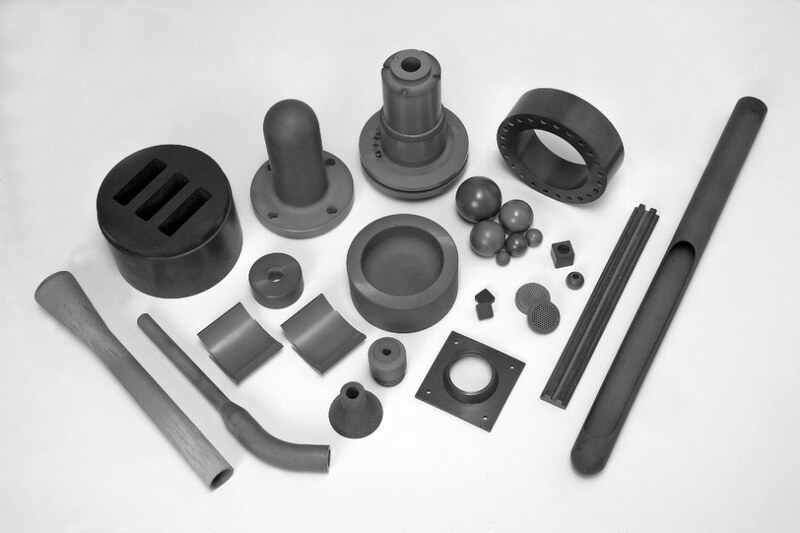 Nozzles, plates, dies, milling media, welding jigs, and fixtures are all routinely manufactured using sialon ceramics. To ensure optimal bonding between a coating medium and the surface substrate, for example prior to the bronze (CuSn) coating of a cast aluminium (Al) gearbox casing, shot blasting is carried out to modify the surface topography of the base metal. 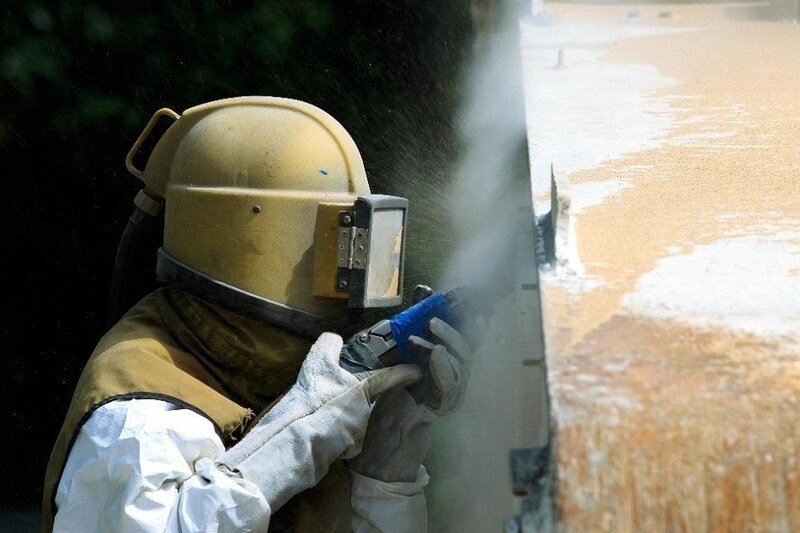 The problems of shot blasting are well-documented, however. Gradual wear of shot blast nozzles represents an ongoing and expensive maintenance concern, particularly when using highly abrasive particles like aluminium oxide (Al2O3). These extremely fine and hard-wearing microparticles can abrade the nozzle of the shot blaster, causing eventual component failure. Tungsten carbide (WC) is a well-established material for shot blast nozzles, but International Syalons has demonstrated the superiority of Syalon 050 for such high intensity wear applications. Tungsten carbide offers high toughness and hardness due to its microstructural arrangement of high strength carbide grains. However, these grains are cemented together by pliable cobalt particles which are susceptible to fine particle abrasion. 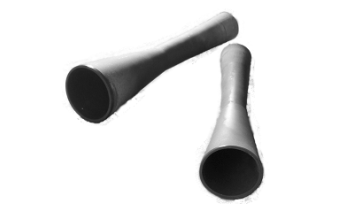 Under test conditions, shot blast nozzles manufactured from tungsten carbide lasted just 20-25 hours before a replacement was required. Syalon 050 is an α/β-sialon silicon nitride-based ceramic composite that is sintered to produce dense, interlocking needle-like grains and a fine equiaxed granular structure. This structural matrix is responsible for the material’s hardness rating of 94 HRA, creating a 0% porosity bulk material which is inherently resistant to an array of abrasive and corrosive industrial environments and refractory temperatures. Syalon 050 can maintain this mechanical stability at continuous operating temperatures of up to 1400°C (2552°F), exhibiting total non-reactivity with molten aluminium, brass, and tin for metallurgical applications. By comparison, Syalon 050 shot blast nozzles continued to perform after 814 hours under the same operating conditions, after which the Syalon nozzles showed no signs of wear after testing. On this occasion it translated to annual savings of over £6,500 per machine, with a single Syalon 050 nozzle outlasting as many as 40 tungsten carbide nozzles. A follow up study is underway with the aim of reducing the cost of our customer’s overall nozzle consumables by 60—70%. 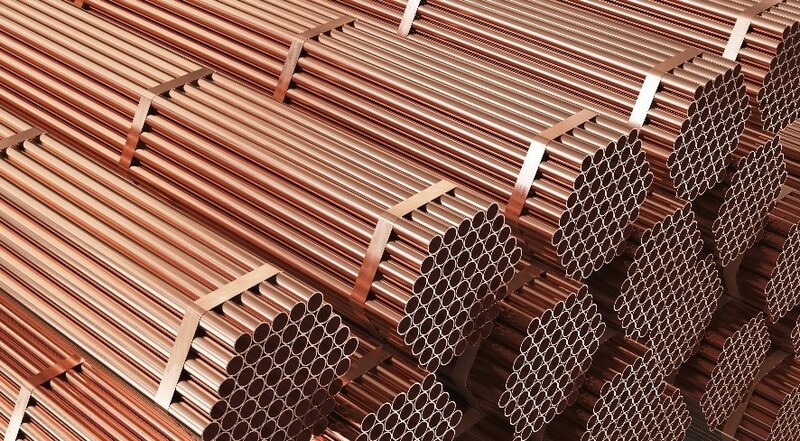 Extrusion describes the process where a metal such as copper or brass is forced through an extrusion die with a smaller cross-section. This deforms the material, causing a lengthening of its granular structure and forcing it to adopt a new cross-section uniformly across the entire workpiece. It is an extremely common metal forming process used to convert cylindrical billets into hollow tubes, or more complex profiles and sections. Tungsten carbide, for example, is widely used for extruding aluminum bars and profiles at a recrystallization temperature of roughly 350 – 500°C (650 – 900°F). 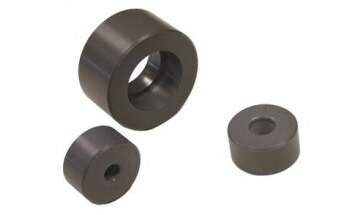 While tungsten carbide can readily withstand the thermal conditions of extrusion, it is susceptible to a unique and damaging phenomenon known as die pick-up which refers to a minute accumulation of metallic elements from the extrusion onto the surface of the extrusion die. This can cause surface defects and leading to poor quality extruded products. Establishing a low-wetting alternative to metallic extrusion dies with enhanced thermomechanical performance is important for meeting the high-yield and throughput demands of modern metalworking facilities. Syalon 101 is a technical-grade ceramic based on silicon nitride (Si3N4), boasting exceptional thermomechanical properties suitable for hot extrusion of metals such as copper, brass and nimonic alloys. It is a β-phase sialon with a maximum use temperature of 1200°C (2192°F), thermal shock resistance of ΔT = 900 °C, and outstanding compressive strength. This enables Syalon 101 extrusion dies to overcome numerous problems traditionally associated with extrusion, such as short die service life and the generation of surface defects due to die pick-up. International Syalons is one of the UK’s leading manufacturers of technical ceramics and a thought-leader in the development of sialon materials. Our product range incorporates many solutions to established industry challenges, helping facilities reach new levels of material yield and higher throughput volumes with advanced material solutions. We are dedicated to developing advanced ceramics to help customers achieve novel solutions to ongoing industry challenges. If you would like any more information about our shot blast nozzles or extrusion dies, or if you have any specific applications about using our advanced engineering experience for your application please do not hesitate to contact us directly. This information has been sourced, reviewed and adapted from materials provided by Internatrional Syalons. For more information on this source, please visit International Syalons.